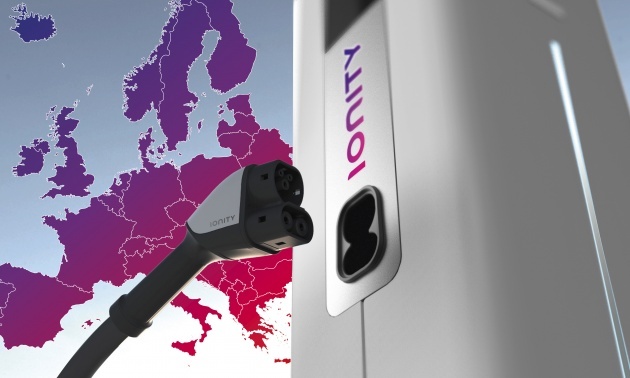 BMW Group, Daimler AG, Ford Motor Company and the Volkswagen Group with Audi and Porsche have recently formed a joint venture called IONITY. The new company will develop and implement a High-Power Charging (HPC) network for electric vehicles across Europe, with 20 HPC stations set to be fully operational by end-2017. Approximately 400 HPC stations are due by 2020. The first batch of stations will be located along major roads in Germany, Norway and Austria, with an interval of 120 km. These stations can be specifically found at “Tank & Rast,” “Circle K” and “OMV” rest stops, which are IONITY’s partners. Next year, the HPC network will expand to over 100 stations, each enabling fast charging for various cars of different manufacturers. Charging capacity is said to go up to 350 kW per outlet, employing the European charging standard Combined Charging System (CCS Combo2 connector) that significantly reduces charging times compared to existing systems. Apparently, this “brand-agnostic” approach is expected to make PHEVs and EVs more appealing, and ultimately make long-distance journeys easier for its customers. This move also marks an important step for electric vehicles. The founding partners – BMW Group, Daimler AG, Ford Motor Company and the Volkswagen Group – have equal shares in the joint venture, while other automotive manufacturers are invited to help expand the network. IONITY’s headquarters will be based in Munich, Germany, and is led by CEO Michael Hajesch and COO Marcus Groll. The company is currently negotiating with existing car-charging infrastructure initiatives for potential integration. Does it uses solar panels to supply the electricity? No it’s used hydro power. That’s why all its charging stations are next to rivers and streams. In the background the water running powers a turbine that runs the power charger.